The two hop kilns standing at the entrance to the farm were built in the latter part of the 19th century. It is known that hops were grown on the farm to provide the beer for the whole of the Briddlesford estate, which included Great Briddlesford, and smaller farms in the Wootton area, as well as farms in other parts of the Island. But they have not been grown at Briddlesford for at least a hundred years. For the last 50 years the buildings had been used for storage of farm materials, and in later years they had become derelict and were in danger of collapse. In 2013 the Griffin family took the decision to restore them, and were helped by Heritage Lottery funding to carry out the work. Award winning architect Lincoln Miles and skilled local craftsmen were employed to restore the buildings and convert them into a Heritage Centre. 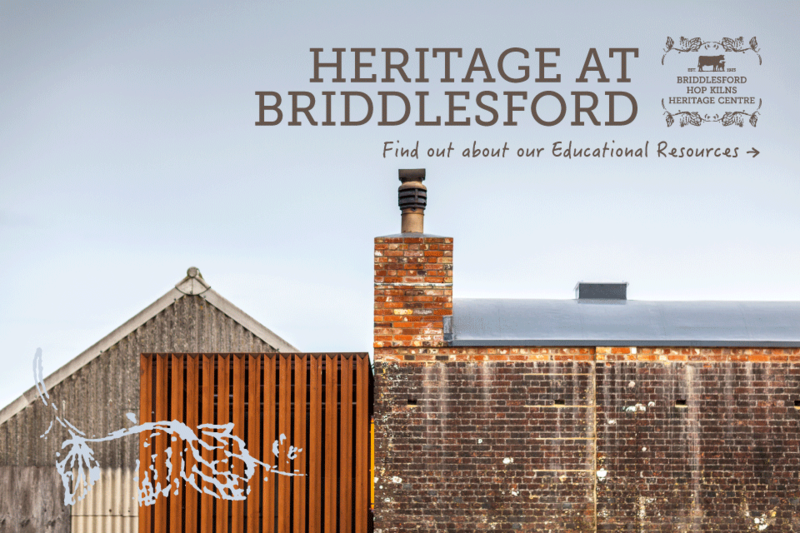 The permanent display focusses on dairy, and the exhibits are almost entirely artefacts used by the farmers and farm workers at Briddlesford. The display also tells the story of the Griffin family since 1923 when they first came to Briddlesford. A film by local photographer Julian Winslow tells the story of the farm, and shows scenes of the Guernsey cows and the countryside around Briddlesford. The background music is played by members of the Griffin family, all descendants of Charles Griffin who came to Briddlesford in 1923. The second building is now an art gallery where local artists can exhibit their work with a farming theme. The restoration has been awarded Highly Commended by The Isle of Wight Society and the Civic Voice Design Awards 2016.